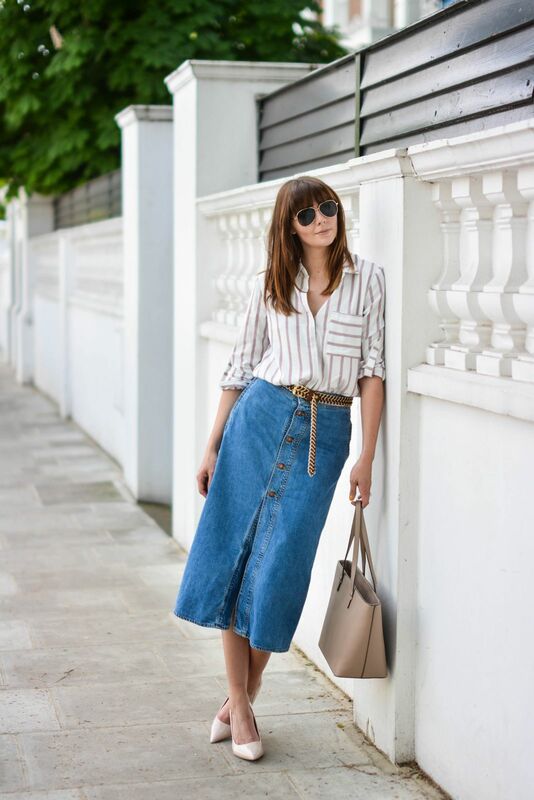 Who would have thought that a denim skirt could be a secret layering tool? Click ahead to see what we came up with. 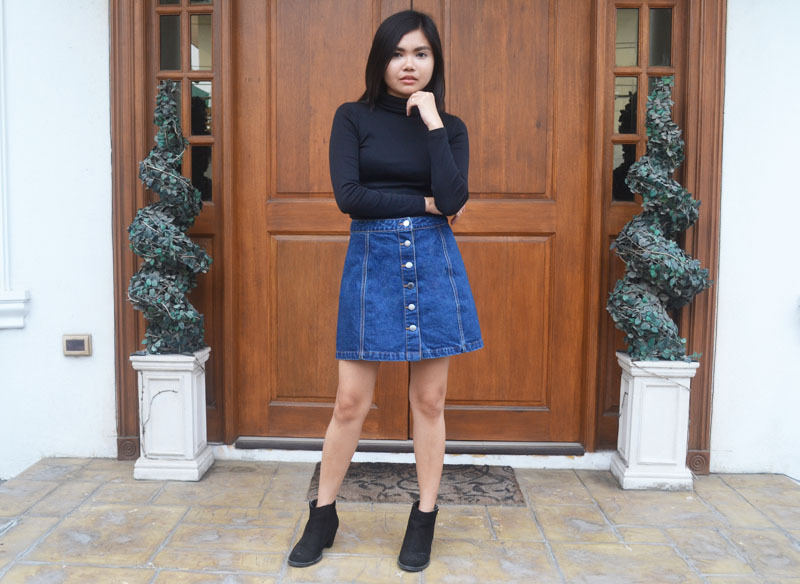 Slip into this mini A- line denim skirt and black sheer-striped crop top and let your feisty spirit feel at home!